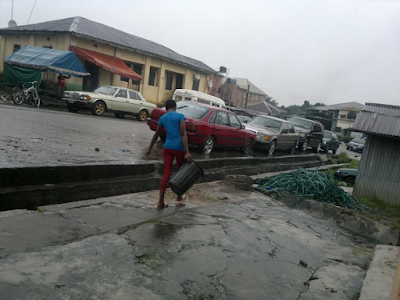 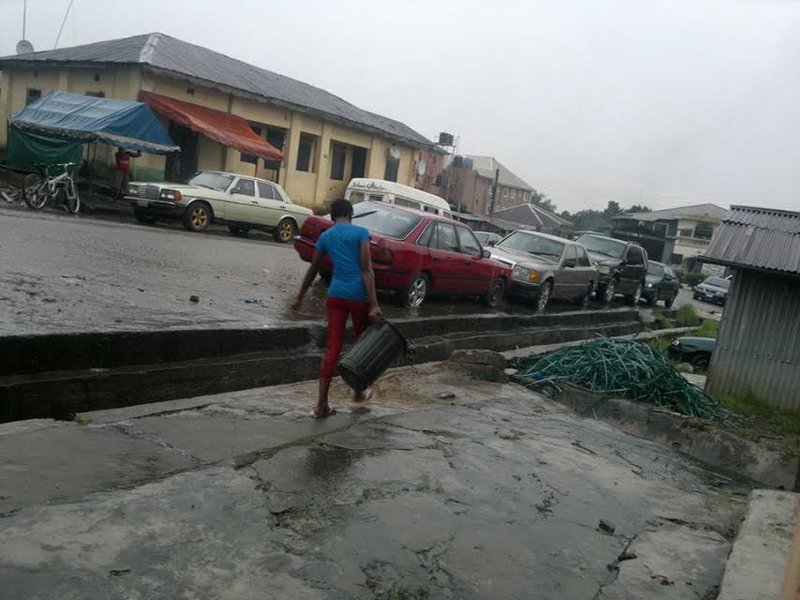 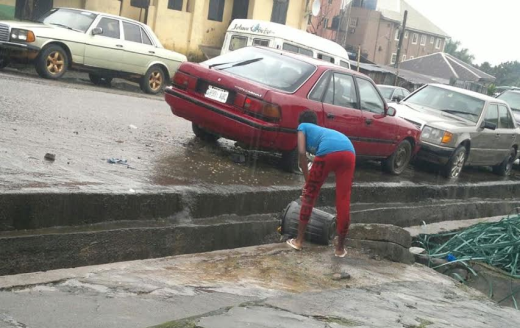 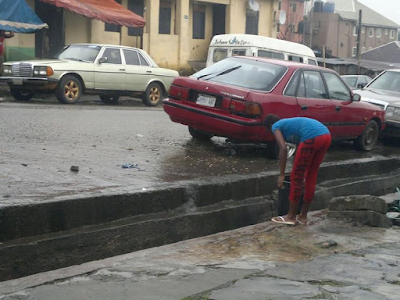 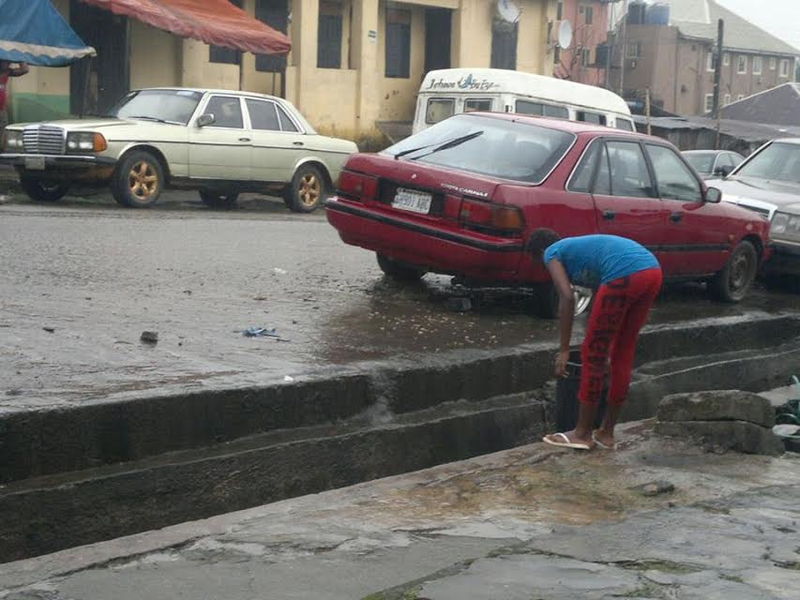 Abia Fact News shared these photos which shows a female resident of Aba dumping garbage into a drainage. 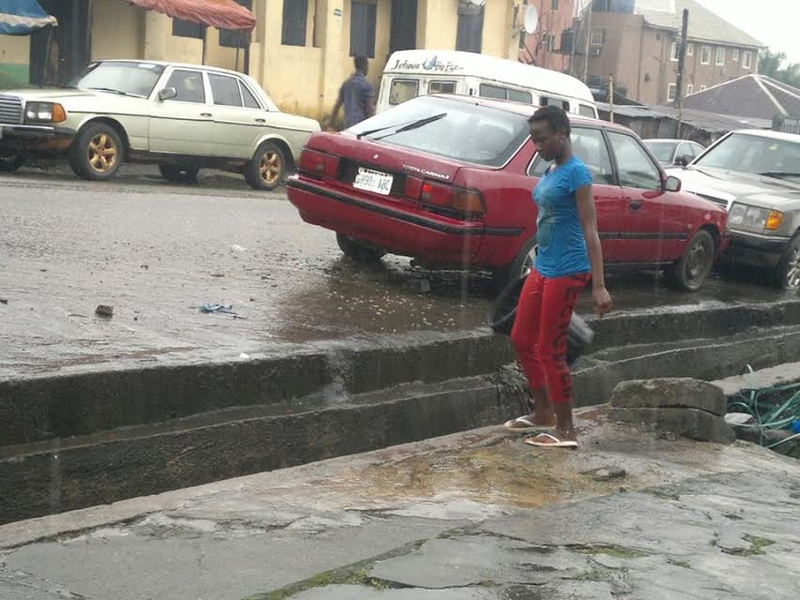 "It is totally unacceptable, condemnable and punishable that some disgruntled elements residing in some parts of Aba, notablely along Aba Cameroun road, Hospital road and axis are truncating the efforts in keeping Aba environment clean," AFN wrote. "According to the report forwarded to us by Toengines that those recalcitrant persons now use drainages as dumping grounds for their home churned out refuse not minding the grave health hazards. 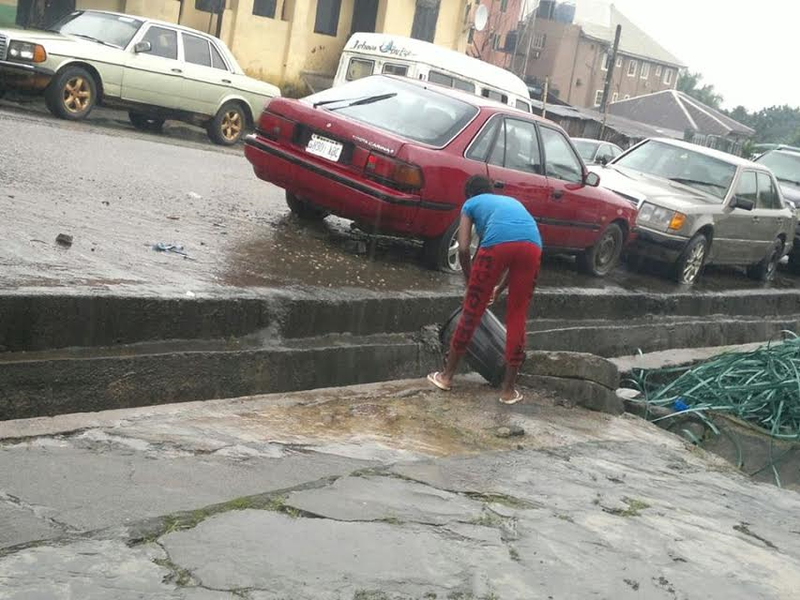 It is pertinent to state here that government of Abia State and its agencies; ASEPA, Aba Urban Renewal (AUR) concerted efforts in sanitizing Aba is been truncated by these individuals. 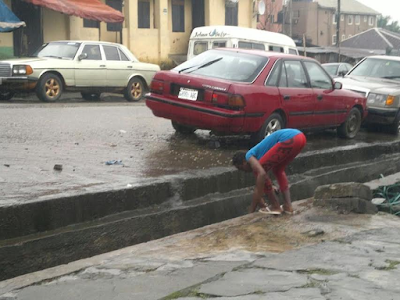 We hereby make a clarion call on all concerned agencies ASEPA, AUR and others to wade in so as to apprehend offenders and mate necessary punishments they deserve which will serve."